...A Case of Politics, Individual Beliefs or Social Backgrounds of Judges- as the fears in the streets of Ghana focus on what Supreme Court will or might not do? Justice Oliver Wendell Holmes, Jr. the American law realist- once said: “When we study law we are not studying a mystery but a well-known profession. We are studying what we shall want in order to appear before judges, or to advise people in such a way as to keep them out of court. The reason why it is a profession, why people will pay lawyers to argue for them or to advise them, is that in societies like ours the command of the public force is intrusted to the judges in certain cases, and the whole power of the state will be put forth, if necessary, to carry out their judgments and decrees. People want to know under what circumstances and how far they will run the risk of coming against what is so much stronger than themselves, and hence it becomes a business to find out when this danger is to be feared. The object of our study, then, is prediction, the prediction of the incidence of the public force through the instrumentality of the courts...” (The Path of the Law, 10 Harvard Law Review 457 (1897). When judges of reputable court of justice sit to deliberate on matters of legal dispute or interest, they are generally, guided by two considerations- law and policy. Judicial policies are the designs of judges- they are floodgates to the law, which help in the legislative gap-fillings. But a typical English-trained judge is pretentious about knowing the law and generally, expects litigants to cite the law to the court and to make legally sound arguments or representations on why s/he thinks that the cited law is relevant and/or applicable in his/her case. The principle behind legislative gap-fillings is that the Sovereign Parliament or its delegated bodies, could not have been precise or all-knowing, to have contemplated on all the future occurrences or legal loop-holes that might be encountered during the application and interpretation of the law that the honest legislators, submit for drafting. Even where the law had been well-coined, its interpretations on the part of the judge had been arguably, subjective. This is why lawyers- both practitioners and academics- are tutored to learn more about the judge who sits on a case. In the words of Holmes, law is full of phraseology drawn from morals, and by the mere force of language continually invites us to pass from one domain to the other without perceiving it, as we are sure to do unless we have the boundary constantly before our minds. “If you want to know the law and nothing else, you must look at it as a bad man, who cares only for the material consequences which such knowledge enables him to predict, not as a good one, who finds his reasons for conduct, whether inside the law or outside of it, in the vaguer sanctions of conscience.” How then, can we vanquish our fears in knowing that a judge did arrive at a sound verdict? Holmes argues that judicial dissent on the part of judges is often blamed, as if it meant simply that one side or the other were not doing their summing right, and if they would take more trouble, agreement inevitably would come. “The processes of analogy, discrimination, and deduction are those in which they are most at home. The language of judicial decision is mainly the language of logic. And the logical method and form flatter that longing for certainty and for repose which is in every human mind. But certainty generally is illusion, and repose is not the destiny of man...,” says Holmes. Thus behind the logical form that we all expect from any judicial discussions and rulings, lies a judgment as to the relative worth and importance of competing legislative grounds, often an inarticulate and unconscious judgment. “You can give any conclusion a logical form.” By this, Holmes means that besides the established laws, regulations, principles and authorities that inform judicial reasoning and decisions, are hidden beliefs and assumptions of the judge which I doubt not the judges themselves, sometimes, fail adequately to recognize their duty of weighing the soundness of their judicial reasoning in most cases. Perhaps I haven’t illustrated enough to show why certain judicial decisions are challenged on the grounds of law or judicial biases but consider the following legal twist which occurred at the UK House of Lords in relations to General Pinochet’s Extradition trial which Lord Hoffmann cast the deciding 3-2 majority vote in the original Law Lords ruling, which was swiftly challenged by Pinochet’s lawyers on the grounds of bias as he failed to disclose his links to the Amnesty International. Although Lord Browne-Wilkinson, who led the appeal hearing, stressed that Lord Hoffmann was not guilty of any bias, he reasoned that appearance of absolute impartiality had to be maintained. Lord Hope- one of the lords who ruled in the appeal case, also said that in view of Hoffmann’s links with Amnesty International as the chairman and a director of the UK human rights group, he could not be seen to be impartial. I must illustrate this further. Assuming that you are a human rights advocate- a pro-gay rights or women’s and children’s rights campaigner and an unknown to many, you sit as a judge in the determination of a law and/or issues that matter in the areas of law mentioned above. I respectfully wish to use our learned sister Nana Oye- Lithur, for an example. As women’s or child’s rights advocate, the fear that her personal beliefs might influence her judicial consciousness, is what Holmes, refers to as inarticulate premise or hidden beliefs and/or egos, on the part of the judge which legal practitioners and/or academics, must persevere to unlock. Articles 128 – 135 and Act 459; ss 1 – 9 of the 1992 Republican Ghana Constitution confer on the Supreme Court as the final court of appeal in Ghana and has jurisdiction in all civil and criminal matters as well as exclusive original jurisdiction in all matters relating to the enforcement or interpretation of the Constitution and matters relating to Parliament or any other body exceeding its powers, or acting ultra vires [legally, acting beyond one’s mandated scope of powers], in the making of enactment including exclusive jurisdiction over whether an official document may not be produced before the courts because its production may be prejudicial to the security of the state. It hears appeals from the Court of Appeal, the High Court in relation to high treason or treason, the Judicial Committee of the National House of Chiefs and exercises supervisory jurisdiction over all courts and adjudicating authorities. It also serves, on referral from the President of Ghana as the final appellate court of mercy- here, irrespective of the court imposing the sanction for an offence or conviction. The Supreme Court is to be constituted by the Chief Justice (CJ) and no less than 9 other Justices of the Supreme Court (JSC). JSC’s are appointed from lawyers of no less than 15 years standing and are of high moral character and proven integrity. The current members of the Supreme Court of Ghana are 13 and their names are as follows: Mrs Georgina Theodora Wood (CJ); Mr William A. Atuguba; Ms. Sophia A. B. Akuffo; Mr Stephen Alan Brobbey; Prof. Samuel Kofi Date-Bah; Mr Julius Ansah; Mrs Sophia Ophilia Adjeibea Adinyira; Ms Rose Constance Owusu; Mr Jones Mawulom Dotse; Mr Anin Yeboah; Mr Paul Baffoe-Bonnie; Mr N.S. Gbadegbe; and Mrs Vida Akoto-Bamfo (www.judicial.gov.gh, 01 January 2012). “When you get the dragon out of his cave on to the plain and in the daylight, you can count his teeth and claws, and see just what his strength is. But to get him out is only the first step.” Established by the Supreme Court Ordinance (1876) as the highest tribunal in the Gold Coast during the colonial era and with Appeals from there to the West African Court of Appeals (WACA), that was established in 1866, the trials of the Supreme Court of Ghana had been more of political than constitutional. 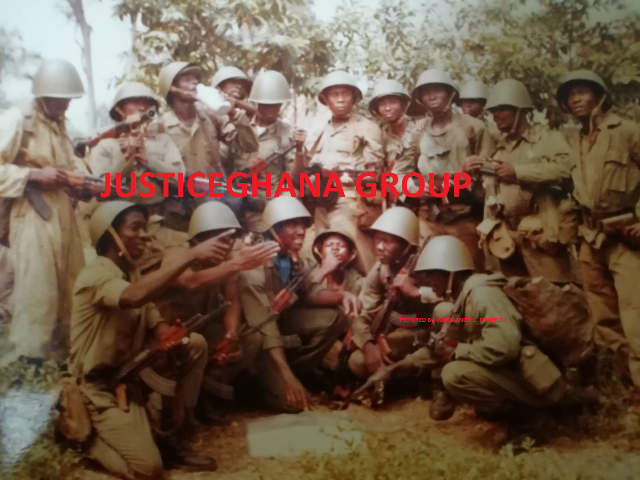 From the Treason Trial of Tawiah Adamafio and Others over alleged Kulungugu bomb attack on Dr Kwame Nkrumah, leading to the dismissal of some judges for acquitting some of the accused for no wrongdoing, not forgetting The Salla Case [Mass dismissal of civil servants] in the Second Republic and more recently the reconstitution of judges at the Supreme Court by the NPP, in relation to the Republic v. Tsatsu Tsika, on the enforcement of the rule of causing financial loss to the state, the mystery is that the Ghanaian judiciary, had hardly been a cherished pal of both the ruler and the ruled. Most Ghanaians seem to be less informed about their judges. Yet there a number of tests devised to assist to unearth the fairness of a decision: Assessment of the arguments of the judges and the advocates in the context of both the case and the future development of the law; the facts agreed or proven; the range of applicable legal principles; and the application of the appropriate principle to the facts. Holmes reasons that “a body of law is more rational and more civilized when every rule it contains is referred articulately and definitely to an end which it subserves, and when the grounds for desiring that end are stated or are ready to be stated in words.” But the Ghanaian must also concede that justice is nothing but a prediction.